Exploration and analysis of land relations in Afghanistan have been remarkably slight, both historically and in the present “post-conflict” period. This paper on Bamiyan Province is the first of a series of studies that were carried out in central, north-western, and north-eastern areas. 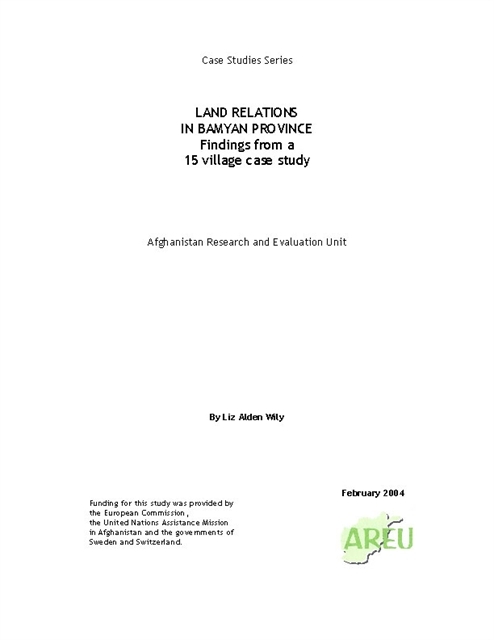 These studies aim to provide quick, but grounded snapshots of land relations in different parts of the country, as well as the land ownership problems facing Afghans, particularly those in the rural majority. Findings show that lasting peace cannot be achieved without the resolution of land conflicts and the ordering of land relations in general.